Next month, I will teach an introductory blogging class at my local library. Blogging isn't for everyone, but blogging satisfies my creative outlet much of the time. 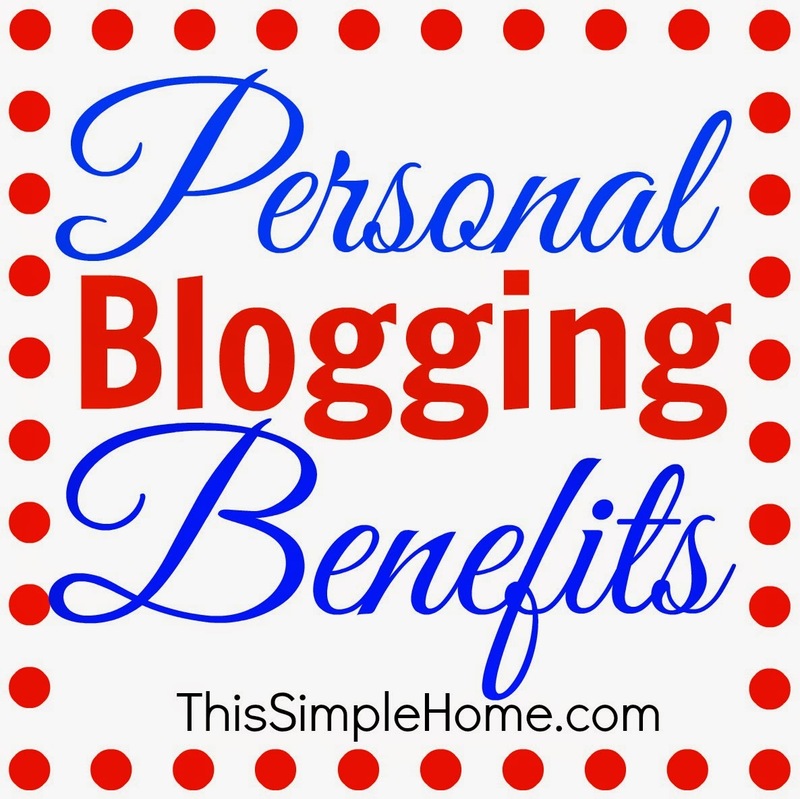 I want to share my personal benefits of blogging. Thank you, Ticia, for the idea! 1. Fostered established relationships. Others have learned much more about my family by reading my blogs. (I update our family blog a few times a month for those who want to know me better.) While I may email my mother-in-law nearly every day, not everyone wants to hear the details of our lives. Friends and family can come to the blog and read what interests them. This can be a bit one-sided, but it doesn't have to be. It's always nice to hear from a friend when they try a recipe, enjoy pictures of the children, or suggest a book for me to read. Better yet, I enjoy reading about my friends and family lives as they share on their own blogs. 2. New friends. These days many would refer to followers and visitors to blogs as connections, but I have developed real friendships with real people through blogging. Much can be said in a personal email that will not be written in a blog post. One blogging friend drove an hour to visit with the children and me. We've gotten together multiple times since that first visit years ago. A family I only knew through the internet stayed with us for a couple days on their way to NYC. I have several friends I would jump at the chance of meeting (or hosting in my home) because we are friends, even if we have never met. If you read here regularly but don't often (or ever) comment, I'd encourage you to do so. Even if you already feel you know me, I don't know you yet! 3. Value. I think I value my role as wife and mom more because I write about it. Somehow knowing that others read about the little ideas I use to keep the house upright helps me. I'm grateful that folks like you think what I write about is important, too. 4. Helping others. When I began blogging, my daughter was past the age of two and was (pretty much) nonverbal. I shared how we worked together to overcome verbal apraxia (mostly on the old blog). 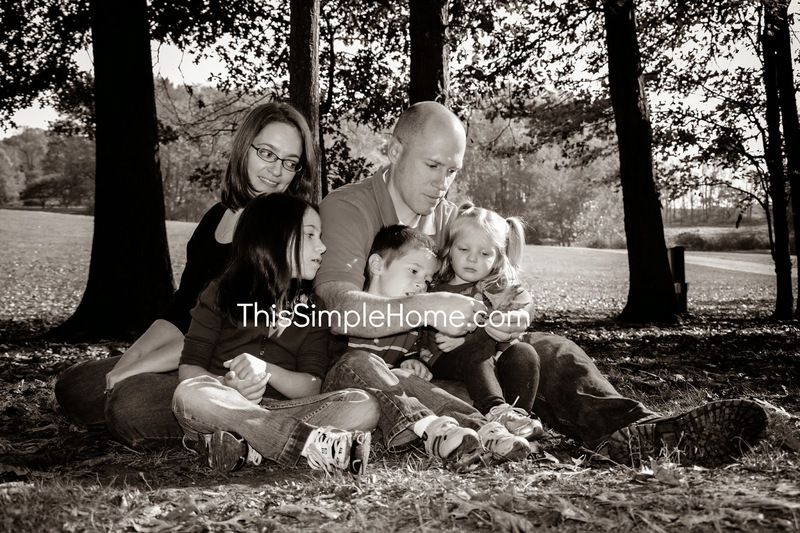 Now I focus on sharing what I know about homemaking and family just as I would share with you if were sitting on my couch. I'm always glad to share my knowledge and whatever skills I have! 5. Writing voice. From grade school through college, writing was never my strength. However, I love to write and can write well when I edit multiple times. In fact, since January I've taken multiple classes to improve my skills in hopes of being paid as a freelance writer. I have a couple of articles lined up (volunteered), but I'm hoping to be paid before the end of the year. 6. Money. I would love to tell you how the income from this blog pays for vacations or even the property taxes. The reality is quite different. This is not a BIG blog with 20,000 followers on Facebook and Twitter. I do have a good number of readers like you (thank you!) who come back time after time which helps. I earn a bit each month when you click the sidebar ads and when you place Amazon orders. Neither costs readers, but it does help our family. Occasionally, a company chooses me to write about a product on the blog and pays me, but it doesn't happen often. (Usually it's just the product that was provided for the review.) Know whenever I do this, I share my honest opinion. Our family appreciates all of the money earned through blogging. way to share with others about developmental challenges and triumphs of our two year old has become an important creative outlet five years later. I hope this blog benefits you as much as it does my family and me. Thank you for supporting This Simple Home and my family. What's the biggest benefit of blogging for you or for reading blogs? Are you ready to start your own blog? I've shared some blogging advice for beginners. I love blogging! It helps me connect with my readers, build friendships, learn about cool new products, and also I now make a living doing it! I love blogging and am just starting to take it seriously after blogging personally (like a private diary) in the past. I agree with you about how nice it is to go back and have so many memories written down and with pictures! I love blogging. It is such a warm and supportive community full of great ideas and insight. Best decision I've made in a long time. Visiting from Bloggers on Blogspot FB group. Cheers! I love blogging. I wish I had stayed with it and loved it as much back then as I do now. I know now that I had to find the time and the want to be better at it. Thanks for sharing your thoughts. I love that picture on the bottom! I agree. Great post, Annette! I haven't been blogging anywhere near as long as you have, but I wholeheartedly agree with the benefits you've listed here. I agree with all your reasons and feel like I have learnt so much from having my blog. PS I hope the classes go well! Your students will be in very good hands. Good luck teaching your class. Thank you, everyone, for the great feedback. It's good to know you love it as much as I do! You seem to be a very loving, giving person. It has surprised me that I actually feel like friends with virtual people through blogging, it is an added benefit I didn't expect. Here, here on the real friendships grown through blogs!! I count you as one of them. I'm attending a writing conference later on this summer which I am super excited about. I definitely could stand for some improvement and I'm eager to work on the skills. I do feel like my writing voice, if you will, has been in developing stages for a bit. I think your idea of taking classes to improve is a great one and I'm glad you found yourself enjoying it as much as you did! Fun stuff! Great post. All good points to make. Thanks for sharing! Great post - how did the class go?